Something tells me I’m still not going to be on Universal Orlando’s Christmas card list anytime soon. Welcome everyone to our Universal Orlando blowout prediction post! If you’re a regular here at TPU, you’ll know that we are hot on the trail of Universal announcements, rumors and spoilers over the last few months. Not all of our predictions have been in one place until now! So use this article as a scorecard if you will. Here are five announcements we are 99 percent positive you’re going to be hearing from Universal Orlando within the next year or so. To be clear, all of these items we are talking about today have been either spelled out, hinted at or given as sort of an Easter egg in previous articles. Heck, there could even be easter eggs in this article. Who knows? If theme parks can be sneaky about what they’re planning for the future, we can also be a little cryptic from time to time. It’s fun! Let’s take, for example, our coverage on Terminator 2: 3-D closing in 2017. At the bottom of that article, I posted a rather obtuse note about the plans for the Nintendo properties being shuffled around at Universal Orlando. Which is true. And while it wasn’t spelled out, I did (for no apparent reason) apologize to Matt Damon for running out of time for because I didn’t interview him for the article. Sure, that was a wink at Jimmy Kimmel’s infamous closing line of his talk show, but more importantly, it references Matt Damon, star of “The Bourne Identity” movie franchise. Sharp readers picked up on the nod and linked “The Bourne Identity” with the show that is replacing T2:3-D. Indeed, not only do I believe this prediction is correct, but I had a handful of industry insiders reach out to me privately to confirm this change. Why Bourne? Universal Parks are stepping away from licensed properties and utilizing ones they actually own (aside from Harry Potter and Nintendo – let’s not get too crazy). The Bourne films have grossed over $1.6 billion worldwide at the box office and are a globally recognized franchise. Before you go casting doubt on if the Bourne films are popular or relevant enough, consider that The Mummy roller coaster is still one of Universal Orlando’s top-rated attractions based on a film. That franchise has four films that grossed roughly $550 million total. While box office receipts don’t tell the entire story, they do give a solid indicator as to how identifiable a franchise is. And that is often good enough to drive people to buy a theme park ticket. Need I mention how well Avatar is doing at Disney’s Animal Kingdom? I digress. As an aside, much of the online chatter about the new Bourne show going into the former T2:3D spot has been revolving around the Motion Theater from Dynamic Attractions. While this was considered (and would have been perfect), it is my understanding that ultimately it was passed on to meet deadlines. Remember that new attraction every year at Universal parks that we have been talking about? Yea, they’re pretty serious about it. Moving on. If you recall, we did an article recently about how changing the Jurassic Park boat ride to Jurassic World in Universal Studios Hollywood made a lot of sense. “Jurassic World” is already a huge phenomenon and there is already another film (beyond the one being released this summer) starting production soon. 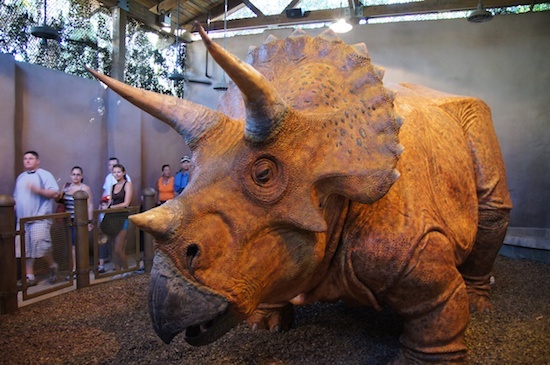 So why not update Universal Hollywood and Islands of Adventure to Jurassic World? That aNswer is slightly complicatEd. Remember that “new attraction every year deal” that Universal Parks is promising in all of their theme parks moving forward? Well, this gets sticky when it comes to size limitations and space in Hollywood versus Florida. While both US-based parks can certainly modify their current attraction into a Jurassic World boat ride and market it as “neW,” the amount of space Hollywood has to build something from scratch compared to Florida is rather limited. In short, Hollywood has to be piCkier with brand new attractions frOm the ground up that they build moving forward. While certainly not impossible, the limitations they have in and around the mountain prohibit them from adding attractions thAt take up a lot of space. Therefore, retrofitting the boat ride in Hollywood is a no-brainer where in Florida, you’ve got more options. This has been echoed by several other websites at this point, but they’re mostly going off of my original post on the matter. Let’s break it down so it’s easy to understand. Remember that new attraction every year thing? Of course, you do, I just talked about it in the last section. That means a lot of construction and new ideas need to come from Universal Creative and fast. Again, with the available land Universal Orlando has to play with versus what is in Hollywood and Japan (both also getting their own Nintendo attractions and lands), this gives the folks in Orlando a chance to capitalize on a new property that they have the exclusive theme park rights to globally. Now let’s not forget what happened with Harry Potter. Opening the Wizarding World at Islands of Adventure was a turning point for Universal Parks worldwide. I probably wouldn’t be talking about any of these new projects had it not been for how successful that has been for Universal Parks around the globe. Because they had the land, they expanded and added Diagon Alley at Universal Studios Florida. 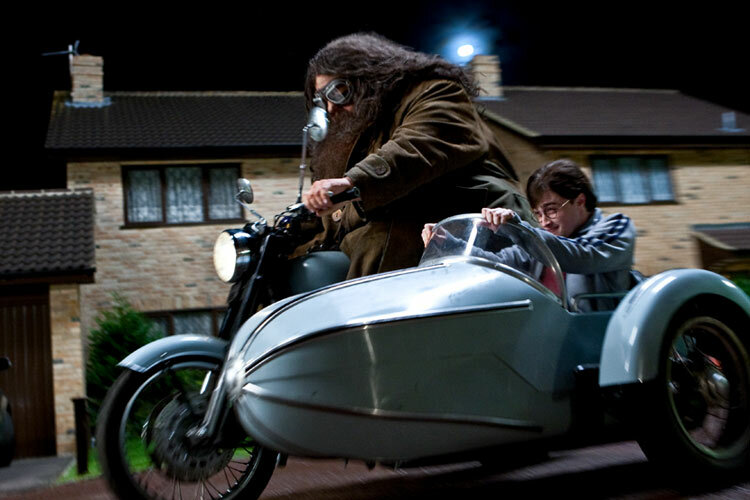 However, that was rushed into production after the success of Hogsmeade at Islands of Adventure. This time, Universal is so sure it has a hit on its hands, they are not only doubling but tripling down on the new IP. Again, if you’ve been reading Theme Park University for a while, you’ll know that we made this prediction in November 2017. Since then, we have had people tell us we are incorrect. Some even unfollowed TPU because they thought the idea was preposterous. That’s understandable, especially considering the building permits and even the overall blueprints for Nintendo Land at Universal Studios Florida that were uncovered by WFTV. We are echoing this yet again… those blueprints that were uncovered by a journalist at WFTV are very much real.. and very much old. This was an older version of the project when Nintendo was going to be confined to just Universal Studios Florida. Since then, the project has morphed and ballooned into three completely different lands at Universal Studios Florida, Islands of Adventure and the park that everyone knows Universal is planning but hasn’t officially confirmed. Yes, we will talk about that park in a future article. It’s unique, it’s out of the box and it is definitely complicated. Getting back to Universal Studios Florida, according to the permits, demolition needs to start in July 2018. In our previous article, we inaccurately reported that demo needed to be finished by that date. Our apologies. The point is, no mention of closures for KidZone have happened yet. It is currently April 2018. Four months to get cracking. If you still stand by that those permits are still current, go right ahead. Tick tock, tick tock! 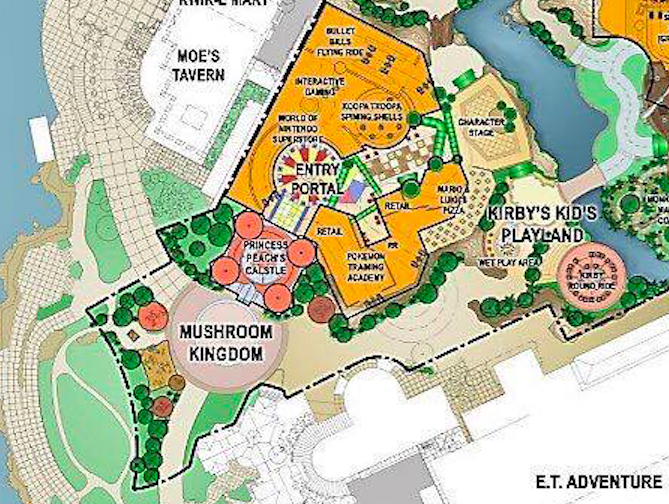 So what Nintendo properties are headed to each park? Click on our original article and we give all the details there. No need to rehash it here. And yes, we still stand by that this is the new course of action for Nintendo at Universal Orlando. Have you been following our crystal ball series about Universal Orlando announcements? If you haven’t, we have already predicted that VooDoo Doughnuts would be coming to CityWalk and that the new projection show on Hogwarts Castle would be a clone of what debuted last year in Universal Studios Hollywood. More recently, we talked about the new nighttime lagoon show headed to Universal Studios Florida. While Universal Orlando hasn’t done any official press announcements on this new show yet, we expect it to be coming relatively soon. While we can’t officially say if there are spoilers located within the article (there are), we can tell you that this new show will be a celebration of both Universal Studios: the film company and Universal Studios: the park. Expect to see longer sequences dedicated to not only specific newer film franchises (rather than genres) like “Jurassic World” and “Fast & Furious.” In addition, you can expect to see nods to films that Universal doesn’t own like Harry Potter and Transformers, that are represented within Universal Orlando. The show is going to be pretty epic, so click over here to learn more. Oh man. This new attraction is going to be amazing. So much so, that it deserves its own article. Come back next time and we will give you loads of details on how this new coaster will be the next evolution in how you tell a story on a roller coaster. For now, we will leave you with a bit of a tease until we dig deep into that new project. Keeping with the tradition of #IReadTheEntireArticle, we are going to give away a $10 Amazon gift card to one lucky TPU reader! Simply comment #IReadTheEntireArticle on either of TPU’s Facebook or Twitter accounts and you’ll be entered into the drawing. Entries must be received by midnight EST on 04/09/18 and a winner will be selected and announced on 04/10/18. Good luck and thanks for reading all the way through! Also, for legal reasons I have to tell you Universal Parks and Resorts has nothing to do with this contest. Duh. This entry was posted in Universal and tagged Bourne Identity, Bourne Identity theme park show, Harry Potter coaster, Islands of Adventure, Jurassic Park, Jurassic World boat ride, Super Nintendo Land, Universal Orlando. Bookmark the permalink. Trackbacks are closed, but you can post a comment.